It will take place at The Trinity Centre in Bristol, a much-loved historic landmark and a cultural hub for the city, on Saturday 13th and Sunday 14th February. Highlights of 6 Music Festival By Day include Julian Cope, Saul Williams, Floating Points, Mark Watson, John Grant, Geoff Barrow from Portishead, Dennis Bovell, Adrian Sherwood & Mad Professor, and Don Letts hosting an exclusive preview of Ring The Alarm - The DJ Derek Story, plus much much more. 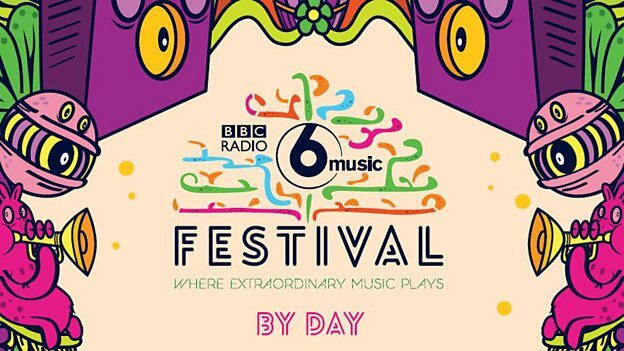 Across the weekend there will be performances from musicians, poets, broadcasters and BBC Radio 6 Music will be broadcasting live from The Trinity Centre between 10 and 4pm on both days. Tickets go on sale on Monday 1st February at 8am (see ticketing information below). There will be live music from the unpredictable, psychedelic maverick Julian Cope, whose live shows are rare, and legendary; Saul Williams, known for his blend of poetry and alternative hip hop, has performed in over 30 countries with invitations that have spanned from the White House to villages, townships and prisons across the world; and Dennis Bovell, Adrian Sherwood & Mad Professor are three true dub legends who will be taking to the decks here for the first time ever together on stage in the UK. Underworld’s Karl Hyde and Rick Smith will be in conversation with Lauren Laverne while Mary Anne Hobbs will be looking back on the career of Reggae giants Misty In Roots, with frontman Poko. Nemone will discuss music making in the West with some of Bristol’s finest local musicians Roni Size, Benjamin John Power from Blanck Mass and Massive Attack tour DJ, Queen Bee. There will be poetry and spoken word performances hosted by Murray Lachlan Young with Holly McNish, former UK Poetry Slam Champion Deanna, and Kojey Radical. And Shaun Keaveny hosts comedy with Mark Watson and Bristol comedians Cerys Nelmes and Alice Matthews. Both Saturday and Sunday’s events will feature an exhibition of the Bristol music scene in pictures by local photographer Beezer, an Independent Record fair, screen printing, the Jah Lokko Soundsystem, plus cake from the Women’s Institute. Additionally, attendees are welcome to bring their music memorabilia along to be documented for The People’s History of Pop project, a BBC Four series coming later this year telling the stories from four decades of popular music through the eyes of the UK's music fans. There will be live music from Floating Points - aka Sam Shepherd - who will be bringing his jazz-fused electronic sounds to Trinity for a special performance including strings and brass, playing tracks from his acclaimed debut album, Elaenia. Don Letts will be hosting an exclusive preview of Ring The Alarm - The DJ Derek Story, a film about legendary Bristolian DJ Derek which Don has been making alongside Massive Attack’s Daddy G. Gilles Peterson hosts a Words And Music special with Bristol music-maker Geoff Barrow from Portishead and BEAK ahead of his Noise set with the Pop Group at Colston Hall later that night. Cerys Matthew will be in conversation with the acclaimed singer John Grant, who has continued to build on the incredible acclaim of by his first two solo albums with his latest album Grey Tickles, Black Pressure. There will also be live performances from This Is The Kit and False Lights; plus acoustic sets from Marry Waterson & David A Jaycock and Rozi Plain, whose performances will be recorded for the Radio 2 Folk Show. 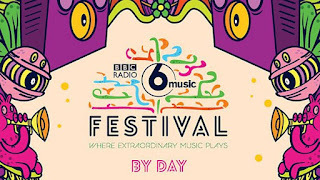 There are two ways to get tickets for the 6 Music Festival By Day. Tickets for both Saturday 13 and Sunday 14 February events cost £5 and go on sale from 8am on Monday 1 February. 65 per cent (235 pairs per day) of tickets will be available to buy in person from the Ticket Shop Bristol, 41 High St, Bristol BS1 2AT. Tickets will be allocated on a first-come-first-served basis. Please note, tickets are not available via the Ticket Shop phonelines or website. Full details about purchasing tickets, plus terms and conditions, can be found bbc.co.uk/6music.